So this year we started without any of the typical resolutions that everyone normally starts the years with, we simply said, let's make it different. So we did, we started looking into this crazy triathlon thing more seriously and before we knew it we were literally hooked into it. We found a great team whom have become friends and family to us. We started without really knowing what to expect. It was more like let's see where this takes us. My brother had given us some of his experiences but it was different, him being back in Colombia had different training and not really something that we felt connected with. 1. cowtown 10K: our first 10K, or actually any distance longer than a 5K. 6. Vincentown, NJ sprint Tri: first podium for Res getting 2nd of her age group. 9. Miami Children's 5K: Res did this one on her own. We have had our ups and downs, Puli got injured at the beginning of the year after doing the 10K, his IT band was really stiff and he could hardly walk. 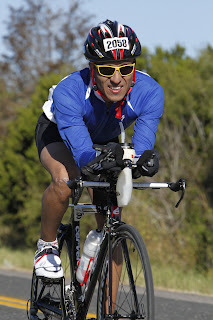 Then we had our bike crash before Austin, read the Mind over Body entry. Definitely we have made this year one to remember. We have learned to love the sport, while sharing pain, laughs, tears with each other and growing as a couple and as a team with our teammates. We closed our year in Colombia, it was a time to sit back, do a little bit of training, a whole lot of eating and a lot of resting. Puli caught a cold and is trying to kill him, but hopefully he will be better by the time we get back home. Training at 9000 ft above sea level was an experience that Puli had forgotten what was like and Res didn't really know what it was, it definitely was a good one to test us. We hope next year brings us with many good things. 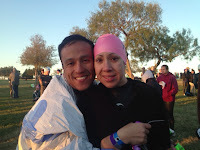 Our work front seems to be linning up with very good things for the two of us and also our training and racing will be filled with many successes, hope to become IronMan/IronWoman and share the rest of our journey with you our reader. Thanks for reading and stay tunned for more updates and Happy New Year y'all!!! Feliz Año!!!! 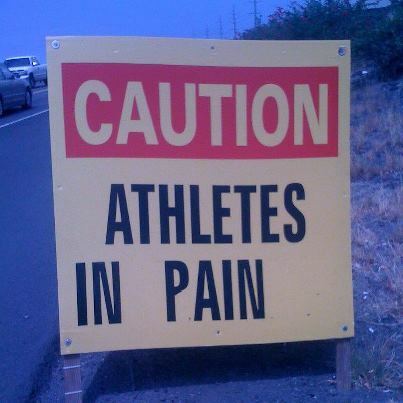 So today is the end of our 1st week of training for our IMTX. The week was a lot heavier in training that we were expecting. It was something like 11 hours of workouts. 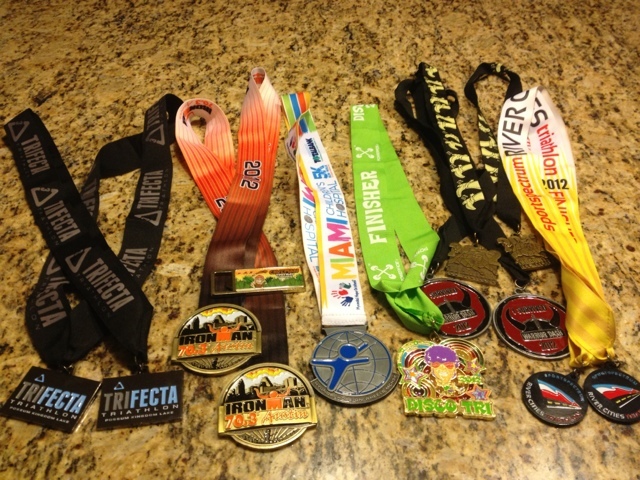 Considering that we haven't been doing much training since our 70.3 in Austin it was hard to get back to it. We had a busy week with work and other activities that simply made it harder. Skipping 2 days of the training plan was not ideal, but all in all it was not as bad. 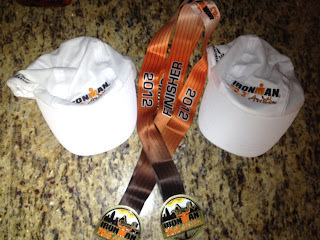 Overall we didn't do as bad, put 4050 yd in the pool, 98 mi in the bike and 7 mi running/jogging/walking. Yesterday took a toll on us, we had a swim and a run however Coach M set a time trial practice for us, which this was mainly to set a marker for us (same thing he did for the run). 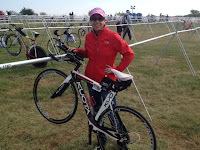 I went all out, averaging 20 mph for 10 miles and completing a 20 mile ride in about 1:05 including warm-up and cool-down. We then did our swim and run later in the evening, the run was painful, hardly could keep a 9'/mile pace and Res was at about 10'/mi. it was overall painful, and legs were feeling heavy. We did a good 20 minute stretch after it and it helped. This morning we had set up with some people from the team to go for our scheduled ride. The day was looking warmer than usual and humid, however by the time we got to the speedway it seemed like the wind was picking up and it was making it a bit cooler. We set off, did a 5 mile warm up lap at the speedway and then set off to go to Krum. That's when things got interesting, as we turned to get out of the speedway the road was a bit wet, long and behold... I wiped out on the bike. Bike went from under me and I just slid for a few feet. Enough to had a good rash that didn't get to see until the end of the ride but I knew it was there. I got up quickly, since I just hit my leg and a bit of my hands (thanks for layers and gloves, it would've been worse). Res was way behind me and didn't really see me fall. We took off from there, heading north it was slow, one I was sore from the fall, and two it was windy, seemed like we had the wind in front of us the whole way. 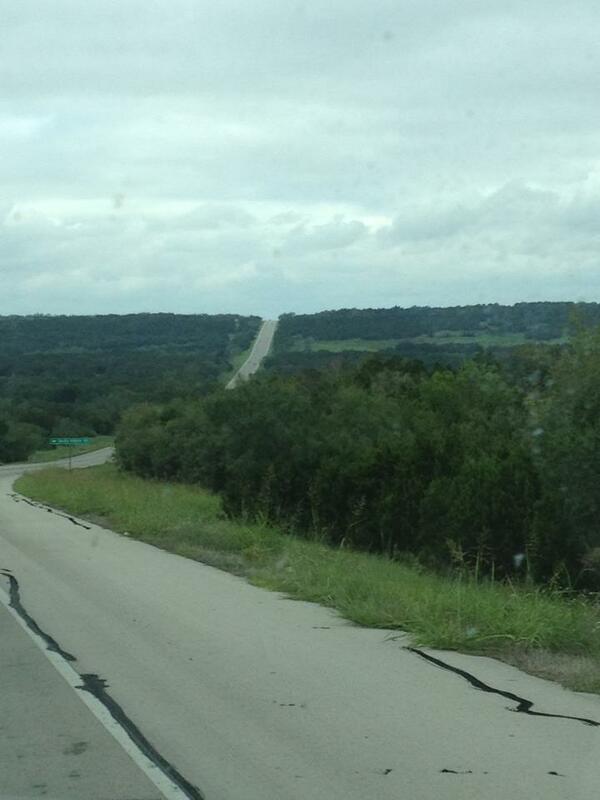 Got to Krum, waited for Res, did a quick stop to rest and then headed back. I took off, taking advantage of the tail wind, but between the soreness and legs just getting tired it felt a bit slow, looking back at the Garmin data, it wasn't the case, actually it was a lot better that what I felt. We of course, got back and pigged out to burgers at Five Guys, I think it was a well deserved meal :). It's been a slow moving Sunday, sore in the upper body for me and Res' legs are also sore. She pushed hard on the bike and the wind took a toll on her. Well, for now, lets rest tomorrow, and get back to it on Tuesday for the start of week 2... let's hope is a better week.. So these last few weeks have been what they call recovery weeks. Usually you read on blogs and magazines that after a big race it is a good idea to get off from training, get back to your old routine and also try to be normal again. Well we have done a bit of that, have tried to do some running and riding but that's about it. Not really a lot just enough to continue us moving and not just sitting on the couch. 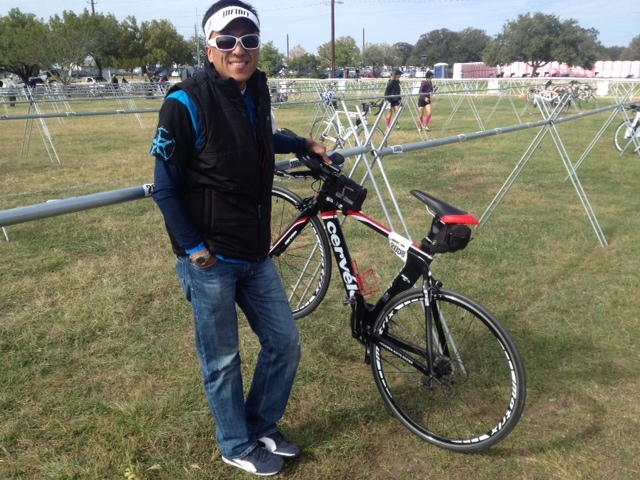 Well, tomorrow marks day 1 of our Ironman Texas training. It is the day when coach M will share with us what we will see, how we will see it and much more. All this of course after a nice 10K+ run around the track with some core workout , yes... I'm sure we will have some planks, supermans, abs and many more that we will probably share on another day. 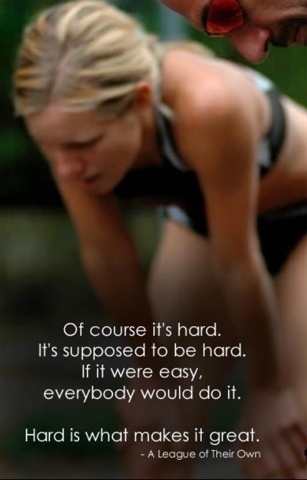 Tomorrow is day 1 of our journey to our ironman. 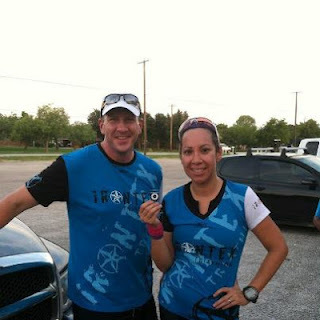 A journey that we actually started on February 5 when we signed up for the team and actually started to take shape on April 22 when we completed our first sprint Tri. A journey that definitely became a lot clearer after finishing up our first 70.3 at ironman Austin. Well, this is just a few more months of journey 6 and change to be precise. 6 more months of hard training, trying to stay away from accidents, injuries, watching our nutrition, supporting each other and many more things that come with long hours of training and long weeks of both work and training. We are going to try not to post summaries of what we did I'm sure y'all will get tired of seeing we swam, biked and ran. We want to give you more of an insight of what we are going through, things that we think, feel or enjoy while we do the SBR thing. 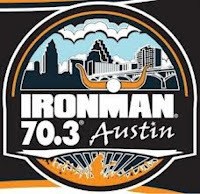 Hope you stick with us through this next few months of journey and helpfully we will get to hear on May 18th (sometime during the night before midnight) those words that give us chills "YOU ARE AN IRONMAN"
A week to get back into it... and time to give thanks!!! As y'all saw from last week's post, we were not really getting into the swing of training or at least the maintenance training that coach M had us on. In the last 3 weeks work has just gone insanely busy for the two of us. Me, just busy I think it caught up to me, and for Res it is more on her transition to the new job for the 1st of the year, so tons of things to leave ready before vacation. On the good news side, Res got cleared from the Dr. as she didn't have a stress fracture. That is really good news and her foot started to show signs of improvement, as in no pain improvement. She is good to start running again, of course taking it slow. For me, last week traveling, working late wasn't a good sign of getting a few miles as instructed by the schedule, it was more of a week of not really doing much, except Thursday when I put in a 40 minute run, 4 miles. The results showed a good workout, not fast but at least good, but I overall felt so heavy, and not good. Thought I was going to have to walk back home or call Res to come pick me up. Res had only run a little bit since the Dr. told her to only run maybe 1 mile or 1.5 miles and not go and catch up with all the miles she hasn't run at once. Anyways, I got home and told Res how I felt. She then tells me, go read SBM's blog's for the day. 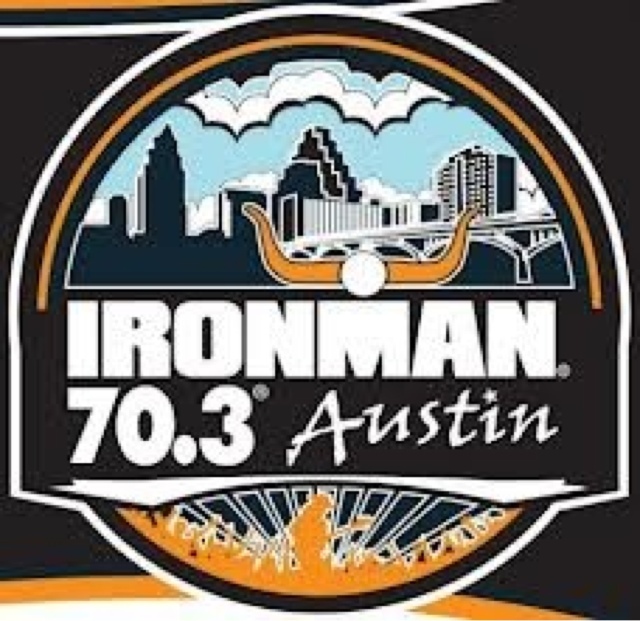 It was I guess a relief that I wasn't the only one feeling that way, but it was not a good feeling overall to know that we had signed up for IMTX and we needed to get our rear in gear for December 1st, as it is the start of the training. Coach M and other 3 folks from the team are off to IM Cozumel next week, so while they work out and do their IM we will probably be recovering from indulging on Thursday. This weekend was good, rode and went for a track speed workout. After running on Thursday, I thought I was going to pass out today. To my surprise I did pretty well. Res actually did awesome too, being her first time back to running and doing some speed workout since before Austin. Now this week is time to get going, enjoy some turkey, give thanks. Speaking of which thanks are in order for a great year, for being together and being able to share these memories. With that, Happy Thanksgiving y'all! We've been a little off from the blogging world, last 2 weeks have been more of a recovery mode for the two of us than anything. Recovery, catching up with home duties, work, oh yes work, we still have to pay bills and make some money to support our hobby. The first recovery week after Austin was more of a week of lets deal with the pain, soreness and other issues that arise after a long race. Massages came in handy one night and they helped a lot. Highly recommended for those still not believing in massages. One thing that we weren't counting with was Res getting "injured", the soreness was starting to go away but Res' foot was still sore and what it seemed like swollen at times and in some sort of pain that wasn't really part of the soreness as she described it. It was more of a "I'm here" type of pain, you guys ask her what she means by that. 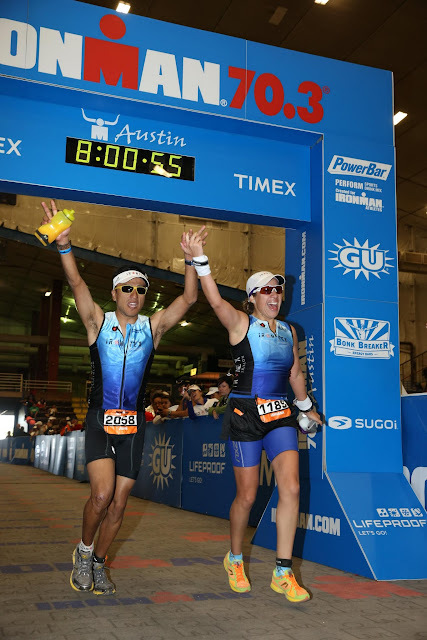 We had decided before Austin that we were going to sign up for the Dallas Marathon but we were going to the half as part of our off-season start and also to stay in some sort of maintenance schedule before our IM Texas schedule started on December 1st. Anyways, after going to the Dr. and Res not showing great signs of improvement we decided to call off our half, and decided to no-go it. Probably the safest route as the months coming up will be critical for our training for the IM. We rather be all healthy and fully recovered for that than with some sort of injury that will hinder the start of it, I'm sure we will have plenty of time to do these so we are in no rush for it. 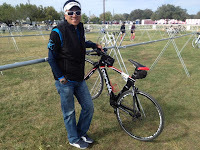 I did continue on the schedule Coach M had put me on for the half, ran about 19 miles last week, swam a bit and rode 21 on the bike, Res did the same except the running as the Dr. recommended to stay off of that until the results of the PET Scan cleared her from any stress fracture. Needless to say, running alone was pretty boring, and we were both kind of lost training alone, we use training, especially running as it is the thing that we get to do together as in side by side. The pool we are together but on the lane next to each other and on the bike we are with the same group but normally not together. So yes it was different and not fun. So after two weeks of rest, entering our 3rd, it is kind of funny but we are looking forward to our next 3 weeks of rest (more like maintenance) before we hit our IM training. There are a few things we need to organize at work, the house, and in general before we enter a schedule where work and training will be filling up the most of it. So for the last two months Coach M has been having these "themes" to week workouts. Hot August.. was Hot August Nights, in part thanks to Neil Diamond and also because it was HOT indeed. August was mainly a speed workout. We would go out and ride our bikes time trial style. We would go to the TMS and do a 5 mile warm-up lap around. Then we will come to a stop and he would let us go from 0 to another lap, all out. 5 miles all out. The key was that it wasn't the fastest lap, it was the most improved lap over the month. oh, and another condition was that we had to be present at every practice. Well... the winner was Res, she was the most improved lap. September he came up with another "Theme"... Elaine Power Workouts. Well, Elaine is not a woman, neither is synonymous of Power. Elaine is this street near Bear Creek Park. It is a bit steep, and definitely not tender, regardless of the "cute" name. Well... we've called Elaine numerous names over the few times that we've gone up and down. Coach M insists that it is for our own good, and we sure hope so, actually we were reminded of sweet Elaine during Trifecta and we were actually pleased to know that we could do it, after seeing a few people walking that big one on Trifecta we were thankful that we were ready to tackle anything that comes up or down our way. What a great race!! 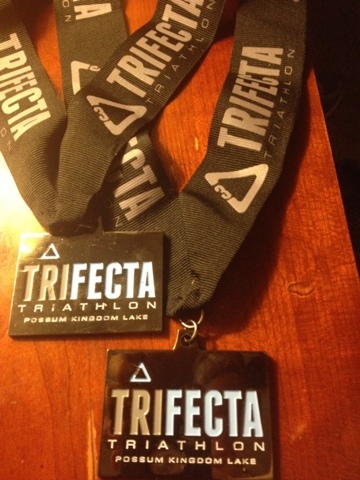 First all around, first olympic distance for us and first inaugural Trifecta Triathlon. On Saturday we had a 75/30 brick on our schedule, we were debating about doing it because we weren't sure how it was going to affect our race on Sunday. We decided on Friday we will do it and just do a slow one. We headed out to meet Coach M at the lake since he had the IM guys do their swim. It was a cold morning, in the high 60s a bit chilly for a ride in September, but we went off to do our 21 mile loop. We just strolled, Puli was drafting the whole way from me saying that I help him keep a nice pace, it was more me helping him because he didn't want to work the legs. We then got back at the 1:20 mark and got our kicks on, and off for a nice 5K run, we just went out 15 and 15 back, weather was still nice and cold so it felt good. We headed home to finish packing and get our stuff ready for the roadtrip to PK Lake. We were meeting some teammates along the way so we headed out. Got to PK, did our check-in first thing. This was a bit different for us, as we had to check-in our bikes and our running gear ahead of time. We did all that, and then headed to our team cabin. We also did a quick drive of the bike route with the team to see what we were up against the next day, so glad we did, see why later.. We organized our sleeping arrangements and then headed out to dinner at Puli's friends lake house, the rest of the team stayed and had the dinner they offered there. We headed back and by 10 pm lights were out and us trying to sleep with 9 more people in the same room, it was quiet an experience but we survived, we were so tired from the early brick that we just crashed. Alarms started to go off at 4:30, then by 5:30 we were all up and starting to get ready. Everyone did their breakfast rituals, it was funny to see that. We are pretty simple when it comes to that. Quick oatmeal, banana, water/gatorade and we are good to go. Race didn't start until 7:30 so we kept it simple. By 6.30 we were heading to T1, last check of the bikes, pump air, setup shoes, helmet and glasses and off to body marking. The day looked a bit cold, so I decided to go with wetsuit, as they had announced the day before that it was going to be legal, so I used the advantage, considering that my swim had been struggling for a few weeks and I was off from swimming all last week. Puli decided to not use his. 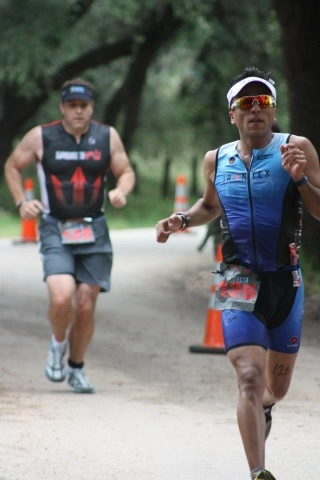 Puli was the first wave so off he went after the pro's left. I was the 3 wave. 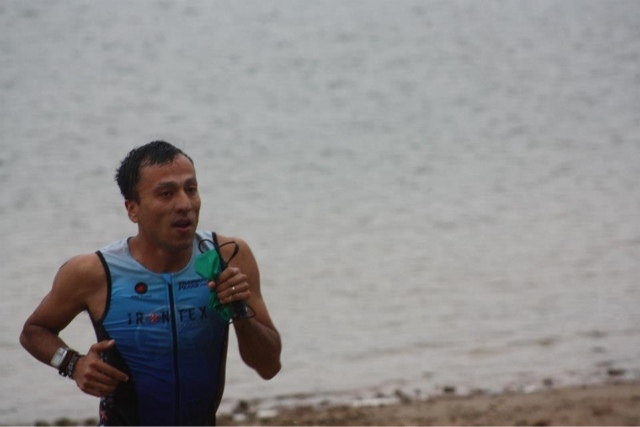 I felt strong on the swim, my sighting definitely improved and the wetsuit gave me more confidence to do the 1500 meter swim. My swim was 36:49, not too bad, considering that I was in the 40's when doing it at training. I felt good coming out of the water. They had strippers and it was good, got on my bike and the road was a bit bad at the beginning and one of my aerobars became lose. It was moving so much I had to be aero the whole time, it was uncomfortable at the beginning but by the end I was concentrated and it didn't bother me as much. 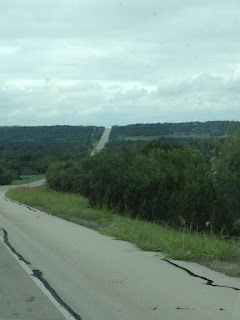 I was so glad that we had done the drive of the ride the day before because that big hill at mile 14 right before the turn was steeper than we all thought. I was able to do the bike in 1:29 averaging 16.7 mph on the bike, considering my tech difficulties and the hills, I was happy with my time. Got to T2, we new we were going to be in a rough T2, but it was a slow one. Got my newtons on and off to the run, we had driven some of the run we knew we were hitting hills at mile 1, but didn't count with the hill at mile 2, it was steep, when I finished those two I knew the rest of the way so it wasn't that bad. Was feeling pretty strong the whole way, I managed to keep a 9:03'/mi pace which to me it was great. Legs were feeling strong. Overall a great race, great volunteers and course support. Will do it again next year. It is a race in a few cities that consists of a 500m swim at a local lake, a 5k and the other 5 is because it is on the 5th of every month. We have been wanting to do it but our schedules weren't matching. Finally we got to do it tonight. It is a good race because it is not that crowded. Only a couple dozen people. The temperature today was very hot 100+ at 6 pm. Res and I had registered and got body marked. I was trying to drink some water but our bottles were frozen. Couldn't get much in. By 6:30 males got in the water. We started shortly after. The water was hot, I was starting to get used to the water getting actually cooler. But not tonight. The water was slow, my arms were feeling heavy. 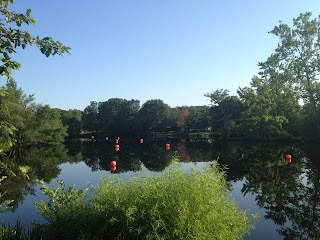 The buoys seemed just far, at the end the swim was bit longer than the promised 500 meters. I started in the back of the pack didn't get passed as much and passed a few until I got cut and had to stop for a second to let the guy get by. 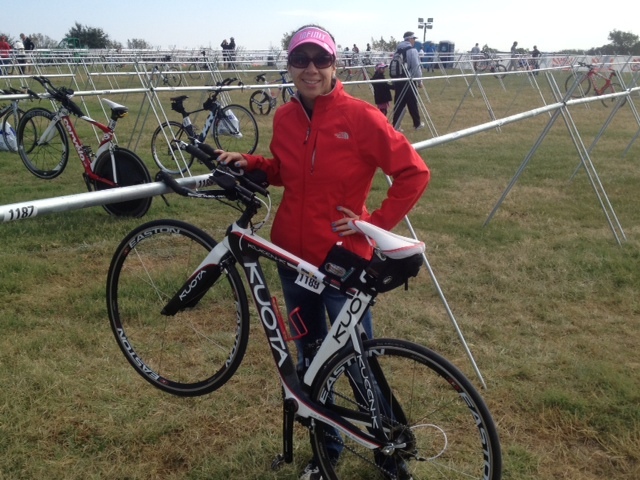 Got out of the water in 14:29 a bit slower than I expected but off to transition and to the run. Put my shoes on, sunglasses, hat and off I went. The run was painful. I guess the water heat was starting to catch on to me and it was still hot by the time we got off the water. I still pushed but before the u-turn I had to walk for about 30 seconds. Got to the return and got some water and gatorade and started going back. 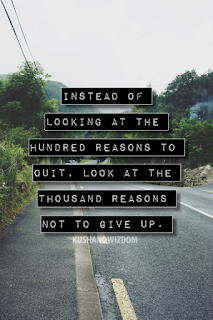 I realized that I was not last but wasn't that far from being the last guy. Saw Res and she was going strong and trying to catch the 3 girls in front of her. I got back my 5K time today 30:11, considering that my time on Sunday's sprint practice was closer to 26:00 it was not a good day. I sat down and waited for Res. 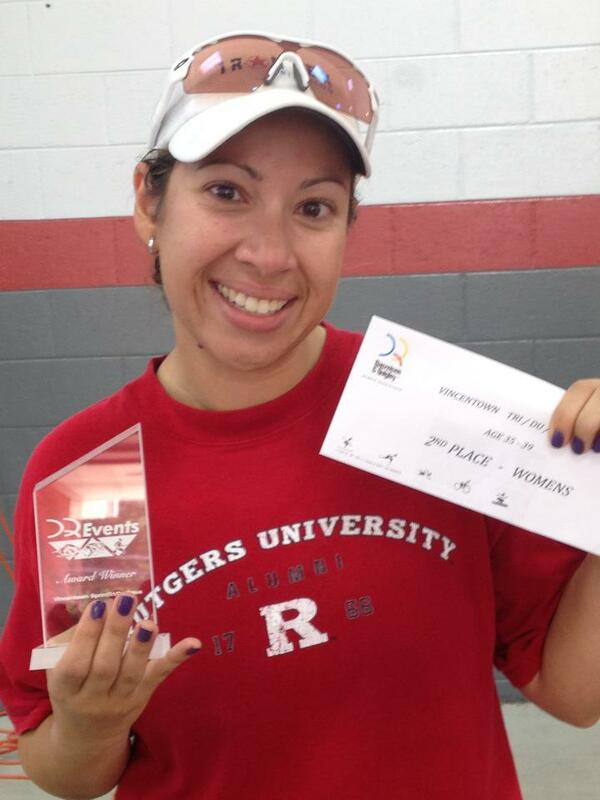 I was really happy to see that she did catch 2 of the girls in front of her and got second place of the women. A good short race, recommended to all interested to get some open water practice out there. Just wished it was a bit cooler out there, results might have been different. It was a good race overall. The swim you all saw the pic, it was very calm water until 50 people of my wave (1st of 3) started to swim. It was good to experience a start like that (can't imagine an IM start but I get the hint) had a few people going over me, a few elbows and my feet pulled. It started to panic me a little but I calmed down and got a good rhythm once the rush went through, then it all got better. Transition was good as well, bike didn't get lost like on Caveman, so I was out fast, on the bike I pushed hard, 20.1 mph avg vs. 17.7 mph from Caveman. 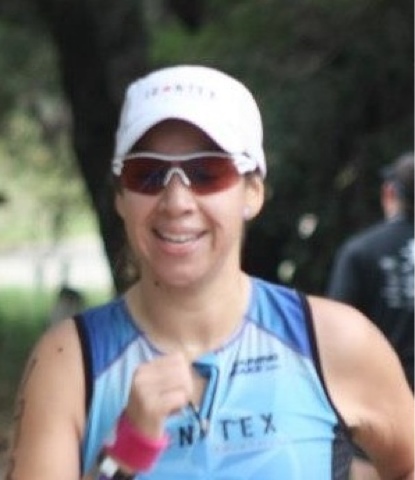 Came back to transition, was out fast as well, at the beginning of the run I was going fast at it but paced my self to a 9'/mi pace and was able to keep a 9.24'/mi avg, a few areas I sprinted a little but it was hot and humid during the run, it was 90+ by the time we came back from the bike. Total time 1:24:14, 5th in my AG and 70 overall. Labels: Triathlon. Sprint. Vincentown Tri. We had been thinking about the idea of getting into triathlons for a while now. It's been maybe since last summer that we started, but when we started doing some swimming along with our normal bike riding it got extremely hot and we just gave up on it. Not having a set schedule or workplan really didn't help the cause. We started looking for clubs but came to find out that not only were the clubs super expensive, but they seemed a bit more competitive than what we really wanted. We wanted to do this for fun and were not really looking to be pros by any means. We have full-time jobs and lives, and didn't want to get consumed by the sport(s). 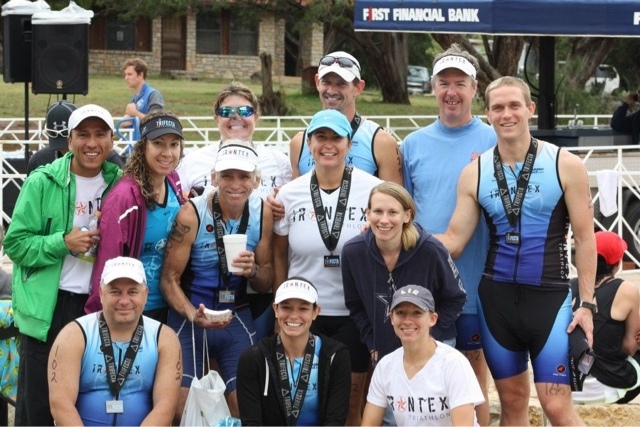 We came across IronTex, e-mailed Coach Mike and he e-mailed us back. After a quick phone call, all he said is come out and join us for a run this Saturday. So we did, luckily for us the meet point was near the house, waking up at 6:30am on a Saturday in February was not really our idea of how to spend a cold day, but we wanted to give it a shot. So we went to our first group workout, it was an hour run, and then a swim at the pool. Granted we had been running a little but not for an hour, we pushed and tried to keep up with the group. It was funny to see those training for the half IM or the full IM passing us by like we were walking, but we didn't walk (maybe a little). We put in maybe 4 or 5 miles in that hour, we were feeling good. Then we were off to the pool. Coach simply told us get in and show me what you got. Then he started to correct our styles. An eye opener for the two of us, as we knew we needed help but there was a lot of work. Swam for about 40-60 minutes with the group. Everyone was super nice and we felt very comfortable with everyone. Coach said at the end: "see you in the morning, bring your bikes." Res and I were of course tired and hungry after the workout but we were ready for the next day.